A lot has been happening! I missed posting some announcements, which include several forthcoming titles. I feel so very fortunate to have all of these books in various stages of completion and coming soon to a bookstore near you. cover reveal ... x 2! I am so excited about both my Spring 2016 books, which are BEFORE WE GO EXTINCT from FSG and THE GIRL IN THE WELL IS ME from Algonquin Books for Young Readers. Two books means two covers, so I have not one, but TWO simultaneous cover reveals. I am feeling so very, very lucky right now. Look how perfect they are! 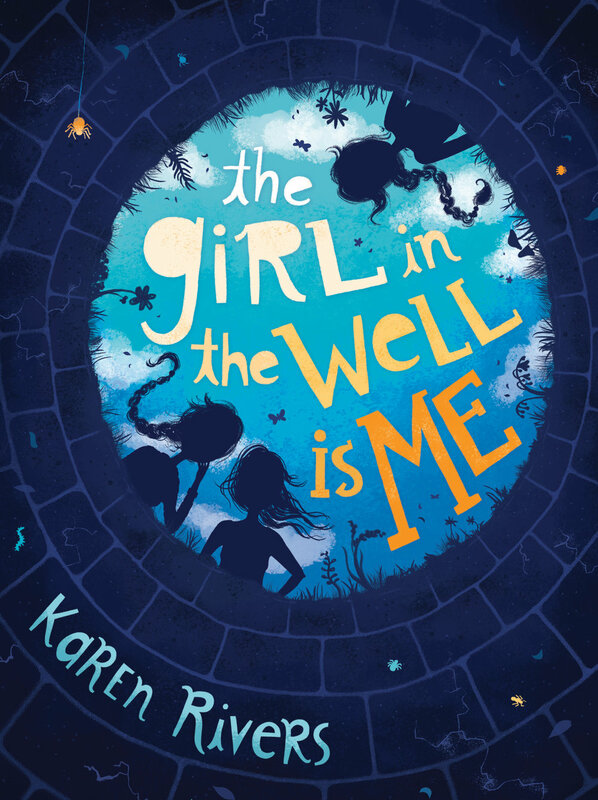 Elise Howard at Algonquin has acquired world rights to The Girl in the Well Is Me, a middle grade novel by Canadian author Karen Rivers; Krestyna Lypen will edit. It tells the story of an 11-year-old who has an accident trying to impress some bullies; trapped in the dark, growing increasingly claustrophobic, she reflects on what has brought her to this point. The deal also includes a second standalone middle-grade novel. Publication is tentatively set for Fall 2016 and Fall 2017. Jennifer Laughran at Andrea Brown Literary Agency negotiated the deal. Karen Rivers's GREAT WHITE ME, the story of a shark-obsessed teen whose best friend commits suicide (or was it an accident?) in front of him; he spends the summer processing his grief on an abandoned beach resort island where his dad is the caretaker, to Janine O'Malley at Farrar, Straus Children's, in a six-figure deal, in a two-book deal, by Jennifer Laughran at Andrea Brown Literary Agency. I'm very pleased to announce that I've recently signed with Jennifer Laughran at the Andrea Brown Literary Agency. More info on the agency is here, and Jennifer's wonderful and insightful blog is here. Very pleased to hear that THE ENCYCLOPEDIA OF ME is a finalist for the 2014 Red Cedar Book Awards! The Red Cedar is British Columbia's Young Reader's Choice Awards. Kids from grades 4 through 7 get to read the books and vote on their choice for Best Canadian Book of the Year. Can't wait until April! Happy reading, everyone. Karen Rivers' THE MYSTERIOUS MESSAGES OF RUTH AND RUBY, when Ruth Quayle finds pictures of herself online, tagged with the name "Ruby Starling," she has a lot of questions: Who is this imposter? Why does she look exactly like Ruth? Why does she also have a bird name? -- a humorous and poignant look at friendship and family, online and IRL, again to Cheryl Klein at Arthur A. Levine Books, by Marissa Walsh atFinePrint Literary Management (world). There is something really incredible about being on a list where a whole big bunch of your favourite books live. I am so proud and honoured. Thank you! and then i loved it so much, it became real. A long time ago, I had a heated argument with someone about how I'd never have a kindle because I prefer real books. Because of the smell! And the weight in my hands! Etc! But that was a long time ago. As it turns out, carrying a stinky, heavy book around isn't all that it's cracked up to be. Carrying my iPad around? Is everything it is cracked up to be and more because now I carry around about 20 books that I haven't read yet. I am never bored in doctor's waiting rooms! Or waiting to pick kids up from school! Or actually ever, because I'm too busy to be bored! But if I was to be bored for some reason, not to worry, books (non-smelly!) at the ready. I am a complete convert, except not actually "complete" because I still get tons of library books, which do smell (and sometimes have the added thrill, apparently, of bedbugs). And then I read the library books first because they have to be returned and I never have time to read the 20 books I have on my iPad. I'll try not to oversell you on this idea though because several of my books are now available for your various different non-smelly technical devices. Here they are, complete with click throughs. Go forth and buy. WHAT IS REAL: The Book Trailer. Karen Rivers's THE ENCYCLOPEDIA OF ME, about one girl's thirteenth summer, as told in a series of encyclopedia-style entries (and lots of interruptions), to Cheryl Klein at Arthur A. Levine Books, for publication in 2012, by FinePrint Literary Management (World English). OH YES, I DID. Internetz, I am so so so so so excited about this deal which I will blog about at more length tomorrow. I don't know what the most exciting bit is, exactly. Dream publisher? CHECK. Dream editor? CHECK. Book that I held on to and kept trying to sell against the current? CHECK. First US deal? CHECK. CHECK! CHECKITY CHECKITY CHECKITY CHECKITY CHECK. I am so excited. I feel like I need to don a cocktail dress and find a stage somewhere to climb up on so I can say into a microphone, "And I would like to thank my brilliant and talented former-agent, Colleen Lindsay, who made it happen; my new agent, Marissa Walsh, for the hand-holding along the way; and damn it, EVERYONE I'VE EVER MET BECAUSE I LOVE YOU ALL. Especially YOU. That's right, YOU!" Then I'd cry and all my mascara would run and probably I'd trip on the stairs in my high heels and break my leg in three places, but in spite of THAT, I'd still be happy. So thank you, everyone. Even if you didn't have anything to do with this, thank you for caring enough about my announcement to read it! And just ... OH MAN, I LOVE EVERYONE TODAY. I am now represented by Marissa Walsh at Fine Print Lit. Check her out here and the agency here. And one of these days I will write a "How I Got My Agent, Let My Agent Go, Got A New Agent, Lost My Agent To Penguin, And Then Got Another Agent" post. Coming Soon! on agents & forthcoming books. I was going to post a "How I Got My Agent" blog here but then, as life goes, things happened. And my agent -- the lovely and talented Colleen Lindsay -- got snapped up by Penguin and became... not my agent. Alas. In happier news, I have a book scheduled for release in Spring 2011 (Orca Books). The title is currently in flux, so I can't share it, but I will say that it's a gritty, YA-novel set on a corn farm in the interior and there may or may not be aliens involved.